icount > Money Guides > Bank Accounts > Prepaid cards, debit cards and credit cards: What’s the difference? Prepaid cards, debit cards and credit cards are all separate financial products in their own right, and they each have different uses and benefits. icount is a current account with prepaid Mastercard® service, whereas your typical high street bank will offer standard debit cards and credit cards. To make the most of your money, you’ll need to choose the right option for your individual lifestyle and needs. However, if you’re unsure of the difference between these options, that can be a difficult task. We’ve put together this handy money guide on the differences between prepaid cards, credit cards and debit cards, to help make your decision that little bit easier. What is the difference between a prepaid card and a debit card? Firstly, what is the difference between prepaid cards and debit cards? 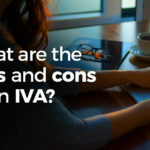 It can be easy to confuse the two as they do have their similarities, however, there are a few key differences to be mindful of. With a prepaid card, you load money onto the card and then any purchases you make are deducted from that amount. You can only spend what you put onto the card, therefore, this is a great option for budgeting and giving pocket money to kids. With a debit card, the money on the card comes straight from your bank account. Having a debit card is an alternative to withdrawing cash from your bank account, and it is safer as it easy to cancel or freeze the card if it is lost or stolen. Did you know? You can arrange an overdraft on your icount prepaid card with the i-draft feature. This allows you to spend up to £250 more than your existing balance, providing a financial safety net for those unexpected spending emergencies. What is the difference between a prepaid card and a credit card? Credit cards differ from prepaid cards because the money that is on a credit card is loaned to you by your credit card provider. Credit cards have limits, just like prepaid cards, which allow you to spend up to a certain amount set by your credit card provider. This amount is lent to you by your provider and you pay off what you spend in monthly repayments. If you pay the card off in full each month then you won’t be charged interest. However, if you only pay the minimum amount, you’ll be charged interest on what you spend. How does this differ from a prepaid card? Did you know? Despite being a prepaid card, you could also use your icount card to build your credit score. The Creditbuilder™ feature can be added to your existing icount card for free, and your monthly payments will be reported back to credit reference agencies which will, in turn, work towards rebuilding your credit score. 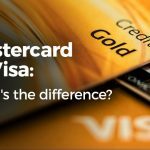 What is the difference between a debit card vs credit card? The main difference between a credit card and debit card is that, with a credit card, the money is lent to you by a credit card company. On the other hand, when you make a purchase with a debit card, the money comes directly out of your current account. If you need more information on the icount prepaid Mastercard®, visit our prepaid card advantages page to see how you could benefit. Alternatively, if you’re already sold on the idea of the icount prepaid Mastercard® and current account, read our money guide on how to switch your bank account to a prepaid card.